What are the two most talked about things between men and women in Vancouver? How bad it is to date here! We need to change this thinking because that's not what people in this beautiful city want to talk about. There seems to be a block with human communication in Vancouver but that shouldn't be the case. Yes, we can't do too much about the rain and lack of sunshine but we can do something about how we interact with each other in Vancouver. 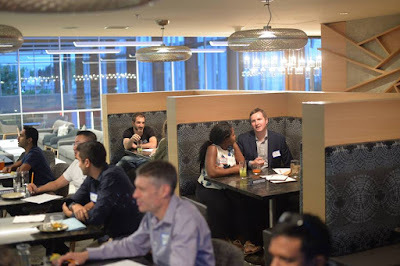 Men and women seem to get stuck in an anti-social scenario of the Vancouver dating scene! A good percentage of people are sending out negatively charged vibrations by avoiding eye contact, not smiling or communicating. This is especially true about Vancouver in the winter months. The sunshine does tend to change that up though! Soon spring will be in the air and Vancouver will be buzzing again! Despite the sunshine, we should always be thinking great thoughts and showing gratitude for what we do have in our lives to get a lot more of what we want to receive. Doesn't it make sense to embrace having a positive attitude about love and life rather than focus on what isn't working for us? Most of us believe in sexual chemistry and the concept that "scent" often known as pheromones play a role in human attraction, so this upcoming spring event (details listed below) may be just the ticket you've been waiting for! It is a unique dating format where you will be matched with people that are chemically compatible with you. The matches will be guided by scientific experiments and Vancouver relationship coaches. How cool is that! It sure beats going through endless profile photos online and where you will be actually meeting people "face to face" for a change! I will (Dear Sybersue) be on hand at this event as one of the 3 co-hosts offering dating advice and to answer questions before the matchmaking begins. Check out the details below! We are holding a singles event (ages 23-39) like no other, our mission is to help you look at partner selection differently—from the perspective of all your senses, not just your eyes. Your ticket includes a drink, appetizers, coaching, and matchmaking. Bring a friend; it’s always great to attend with a buddy, or feel free to come on your own! This event is for people who are between 23-39 years old. 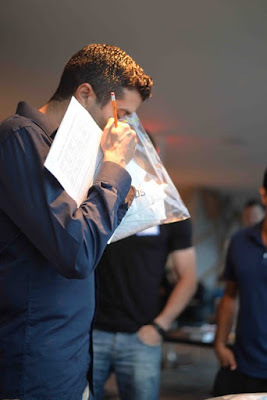 While just a component of our event the sweaty T-shirt experiments are the basis for entire events like pheromone parties and even smell dating. You will be set up on speed-dates guided by our "Relationship Coaches" and the chemistry experiments. So What is DNA Romance All About? 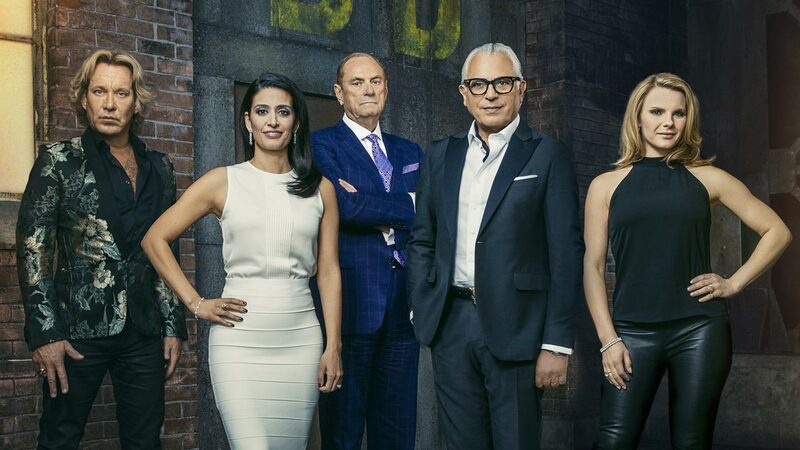 Vancouver, BC -- Local dating app, DNA Romance (http://www.dnaromance.com), aired on the season premiere of Dragons’ Den on September 28th and has key new developments that the Dragons failed to predict since it recorded the episode on Sept 2017. [DNA Romance has gained traction as a leader in online dating through DNA matchmaking by bringing forecasts of “chemical attraction” online. Its new developments include the addition of a personality-matching feature, improvements to the user interface and platform features, and most importantly, offering integration with seven more already-existing DNA tests like those from 23andMe and Ancestry DNA. DNA Romance translates genomics information hidden in your DNA into actionable advice to help your personal dating life but, unfortunately, this advanced technology did not resonate with the Dragons. DNA Romance is still revolutionizing the science of matchmaking with an online dating app that uses genetic testing, personality type, and an advanced algorithm to predict chemical attraction and personality compatibility. Customers now have the ability to order a direct-to-consumer DNA test from “DNA Romance” and these can be paid for anonymously using crypto-currency including bitcoin. While the development of the web app has been ongoing, mobile apps are in development and will be coming to an App Store near you. "Chemical attraction is the natural radar for dating compatibility, but online dating platforms fail to measure this major component in human attraction," says Dr. Timothy Sexton, a co-founder of DNA Romance. Chemistry is a special, warm, fuzzy feeling that is the basis for sayings like “love is in the air,” and chemistry can only be felt “in person.”There’s been over two decades of research behind the scent of love - chemistry - proving it’s more complicated than pheromones and the coding for “chemical attraction” is in fact, written in your DNA. Despite all of this, chemistry has been missing from online dating. One of the Dragons, Michelle Romano, questioned how DNA Romance could beat out its competitors which, up until now, have shut down operations. DNA dating/DNA matchmaking has been tried before, but DNA Romance is the first to build a functional “secure” online DNA matchmaking platform; the so-called competition lacks credibility with no secure connection. DNA Romance has subsequently bought the domain name a competitor Michelle Romano named specifically singldout.com for less than $200 USD. 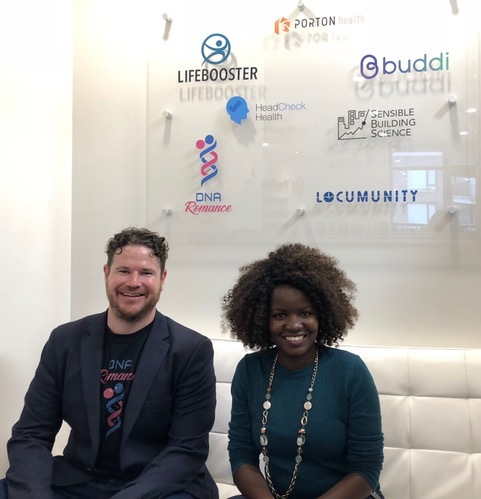 Dr. Sexton and his co-founder and wife, Judith Bosire, have outlasted whatever competition there may have been and proven the Dragons’comment to be wrong by staying relevant and releasing their newest personality feature - below is how it works. Essentially, DNA romance translates the understanding from this research into the prediction of chemistry with other singles who are using DNA Romance - and will spare you from endless awkward dates and bad relationships! This video below will show you what to expect at the event! Are you OK Being in a part-time relationship or do things feel very unbalanced? Would like to see them more but you're afraid to say anything for fear of scaring them off? You have every right to know where you stand with your partner so don't be the last to know that they only want a casual scenario with you. I Love to hear from you & will always take time to answer you back. Please leave your comments below! Has this happened to you? Sassy Sybersue is getting frustrated with how many men and women label each other and sabotage their chances of finding love! Not all men want younger women ladies and not all women are gold diggers chasing after a guys wallet. There are so many single people out there who are really great! Stop being negative and change up your mindset! Today I added another another video to my Dear Sybersue Youtube channel for single parents. As a single mom for many years I know how difficult things can be when dealing with a teenager and a pending divorce. Today's video: Why is My Teenage Daughter So Disrespectful to Me Since Her Dad & I separated, is a topic that many people can relate to! Please watch this video above to see how you can handle this scenario as a single parent with a different perspective. I Love to hear from both men and women her on my website & will always take time to answer you back. Please leave your comments below! Why Cant I be Alone and Need Constant Validation? Dear Sybersue is an Informative No BS dating relationship coach and advice columnist for millennials & gen-exers. Today's weekly upload is titled: Why cant I be alone and need constant validation? Are you jumping from one person to the next without taking time out from dating or being in a relationship? Do you feel alone sometimes even when you are in a partnership? What is missing in your life and why don't you feel the happiness that others seem to have? Sybersue Loves to hear from both men and women & will always take time to answer you back. Please leave your comments below!